Distance: 53.4 miles Cumulative climb: 1298 ft Route Surface: Road Cities: Nora Springs, Rockford, Rudd Download the KML file. Download the GPX file.  Distance: 54.2 miles Cumulative climb: 255 ft Route Surface: Road Cities: Rockford, Rockwell Download the KML file. Download the GPX file. Distance: 57.6 miles Cumulative climb: 235 ft Route Surface: Road Cities: St. Angsar Download the KML file. Download the GPX file. 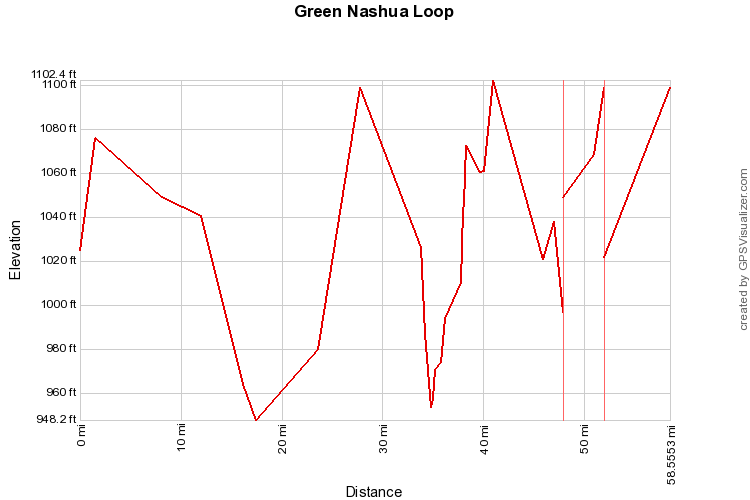 Distance: 51.9 miles Cumulative climb: 1192 ft Route Surface: Road Cities: Charles City, Nashua, Greene Download the KML file. Download the GPX file. 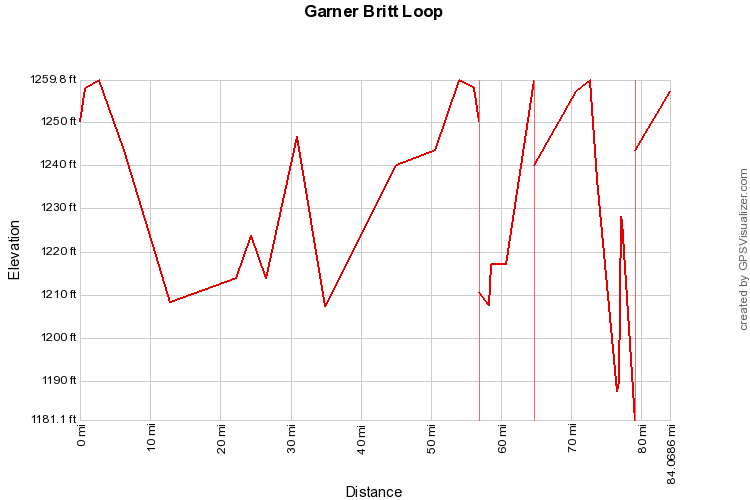 Distance: 58 miles Cumulative climb: 808 ft Route Surface: Road Cities: Clear Lake, Garner, Britt Download the KML file. Download the GPX file. 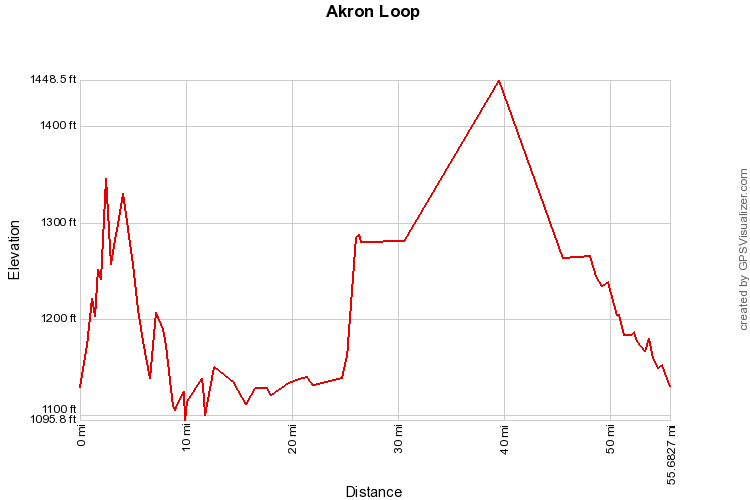 Distance: 55.7 miles Cumulative climb: 1957 ft Route Surface: Road Cities: Akron, Sioux City Download the KML file. Download the GPX file.